This quiche Lorraine recipe yields a rich egg pie and hails from the mountainous region of Lorraine in northern France. 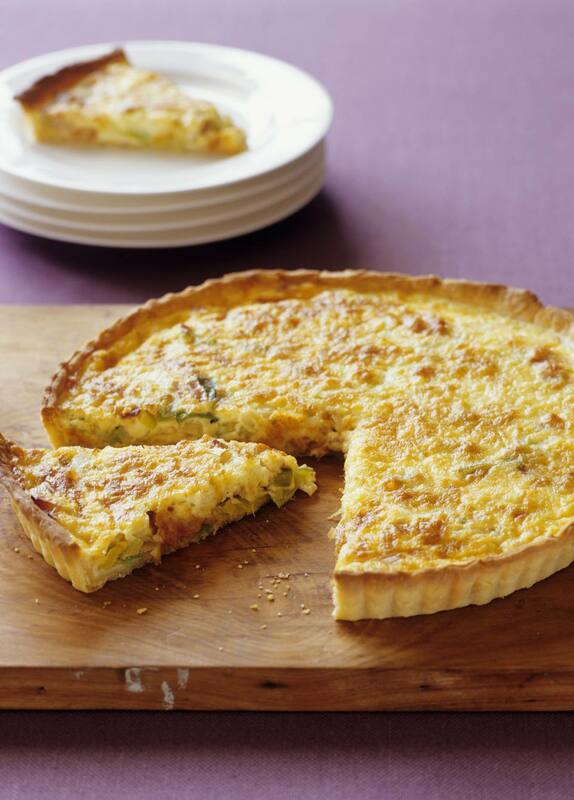 Sufficient for a filling meal in itself, quiche Lorraine has been adapted over the years from a humble custard and bacon pie to the substantial cheese, bacon, and egg creation that it is known for today. Preheat the oven to 375 F. Fit the pastry into a deep-dish pie pan. Sprinkle the bacon onto the bottom layer of the pastry. Beat together the eggs, half and half, salt, pepper, and nutmeg. Pour the eggs over the bacon and sprinkle with the shredded cheese. Bake the quiche for 45 to 50 minutes, until the eggs are set in the middle.